Lou began his career as a financial planner in 2011 when he joined Allen at the Davis Financial Group. Attracted by the idea of combining his passion for problem solving and his love of people, Lou saw planning as a way of utilizing his diverse skills, education and business experience in the pursuit of helping people achieve their financial and life goals. Lou came into the business of financial planning after a variety of other business ventures. Early in his career, Lou founded and ran an entertainment management company while working at Power Station recording studio in NYC. Lou's company, Leeds-Davis Management, focused on developing and managing the careers of musicians, recording engineers and record producers. Leeds-Davis’s client list included a wide variety of artists and producers, including several Grammy winners. In the late '90s, Lou (along with Allen and his brother, Eric) launched a web-based start-up, BountySystems.com, that provided a B2B and B2C oriented incentivized viral marketing application. The team was successful in raising $15 million in venture funding, growing the company to over 60 employees in their midtown Manhattan office, and negotiating multi-million-dollar partnerships with some of the top web portals of the day. After 9/11, Lou returned from NYC to Massachusetts and worked as a sales, marketing and business consultant for several for and not-for profit organizations in the Pioneer Valley. In 2003, Lou became the VP of Sales and Marketing for Market Street Research, a national marketing research firm based in Northampton, MA. In this role, Lou was responsible for consulting with businesses from many industry sectors, helping them to shape research approaches designed to provide them with specific direction for their decision making. The transition to financial planning was a natural one for Lou, as so much of what he had done in his earlier life is relevant to and directly informs his work today. Lou’s focus is on working with business owners, professionals, educators, retirees and their families, helping them to understand, protect, grow, value and share their assets, and what’s important to them. Lou lives in Northampton, MA with his wife, Jen, a personal trainer, and their two sons, Asher and Izzy, who attend Northampton public schools. As a life-long musician, Lou plays bass in local bands, including his family band, the Neighbor Kids, which is fronted by Jen on guitar and vocals and the kids on drums and keyboard. You can see them play every year in the Northampton Arts Council's Transperformance concert at the Pines Theater in late August. Lou is also an avid golfer and enjoys fishing and other sports with his sons. 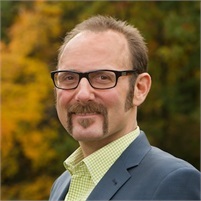 Lou serves on committees and boards of various non-profits, including Congregation B’nai Israel and Cooley Dickinson Health Care, and previously served as the President of Lander-Grinspoon Academy, and as a board member of the New England Financial Marketing Association and the New England Society for Healthcare and Communications. Lou participates as a mentor and often gives presentations on a range of business topics at Valley Venture Mentors and its Accelerator programs, and has served as a judge for a number of its business competitions. Lou has a diverse educational background having studied at the Culinary Institute of America in Hyde Park, NY, the Berklee College of Music in Boston, MA, and the University of Massachusetts, Amherst. Lou is a Registered Representative and holds a Series 7, Series 66 and a health, life and disability insurance license. He is licensed to sell securities and insurance in MA, VA, VT and MD.